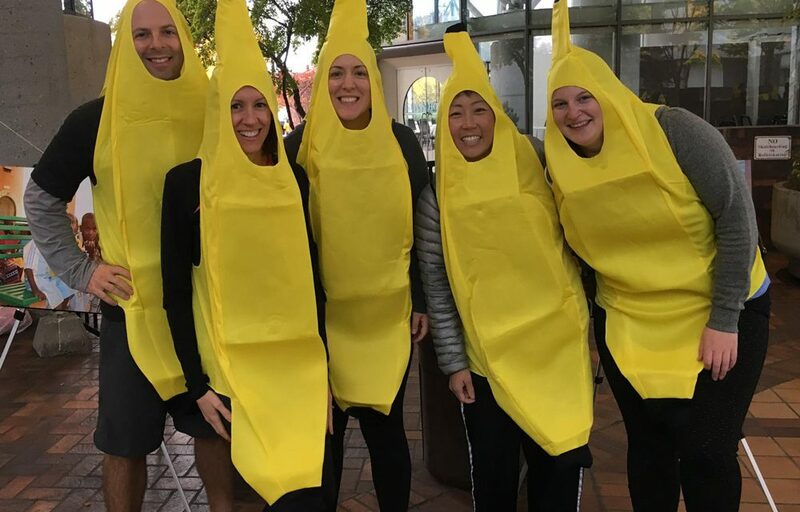 Pitman Family Dentistry joined Oral Surgeon, Dr. Auzins’ effort to raise money for the Free to Smile Foundation at this year’s Banana Run. 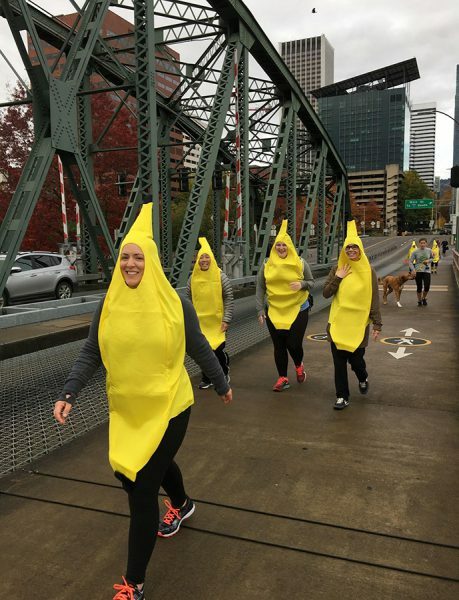 Sporting banana suits, we completed the 5K run/walk around Portland’s waterfront while being chased by Dr. Auzins in his gorilla suit (too bad we didn’t get a picture of that!). Free To Smile is a not-for-profit corporation that helps people born with cleft lip and palate deformity who live in underserved countries. These people endure social stigma, speech defects, and nutritional challenges. The Free To Smile surgeons change these people’s lives in unimaginable ways when they correct the clefts during their outreach trips.